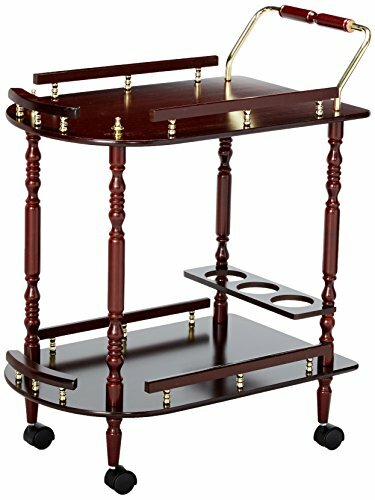 This traditionally-styled serving cart brings elegance into your dining or recreation space, while contributing a countryside feel. The cart is finished in rich merlot with brass accents in the railing. Enjoy the cart's ample storage space with two levels of shelving and three spaces to hold your bottles of wine. Casters offer easy mobility to transfer the cart to any space.